I have been so enjoying looking at some of the first entries for our “Come and Dine” competition. Fascinatingly, they relate entire stories from arrival to greetings, enjoyment, cooking and, in fact, the whole flow of each of the evenings they depict. It all looks extremely professional and soigné! Sadly and luckily only occasionally, the arrival story for our guests here to the Castle has sometimes been less than completely smooth flowing. Paul, on our car parking team, helpfully closes the electric gates each night as he heads home in the evening. Thus, when my guests arrive for supper, their first challenge can be just to get in. Sally and Alex arrived at the front (closed) gates at 8pm one evening to find Christopher trying to climb them whilst his wife Marianna was sitting in the car, given she was wearing a lovely dress and he had been the gentleman. Sally who works here and thus has a gate key was able to open the gates, crying with laughter given that the mountaineer could have just walked around through the footpath entrance, rather than demonstrating his scaling skills. Just after Christmas one year I had retired ill to bed, feeling really rotten and hugely uninterested in lunch or supper. That evening, my husband, son, stepson and a few other family members enjoyed some champagne in the Saloon and went through to the dining room for supper, at which point the phone rang. Once again, it was some (unexpected but not uninvited) guests outside the front gates, unable to get in. My husband sprinted up to find me to quiz me over who and what had I done this time – his shorthand for bad diary/information mismanagement. I had a fever, groaned and pulled a pillow over my ears. By the time the guests were rescued, everybody in the house had reassembled in the Saloon to begin the evening again, with yet more champagne, whilst Luis re-set the table and Paul the chef re-cooked a first course. My stepson kept the champagne going and my son very much looked forward to more scallops. 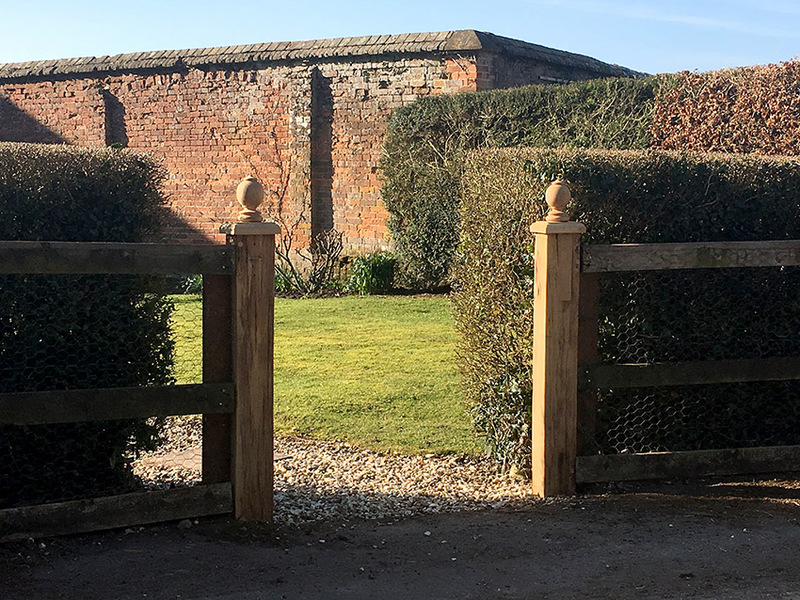 Recently, Robert (security) put a new electric gate in by a cottage which was a great achievement in itself but, whilst the gate was notionally operational, it had a few issues. 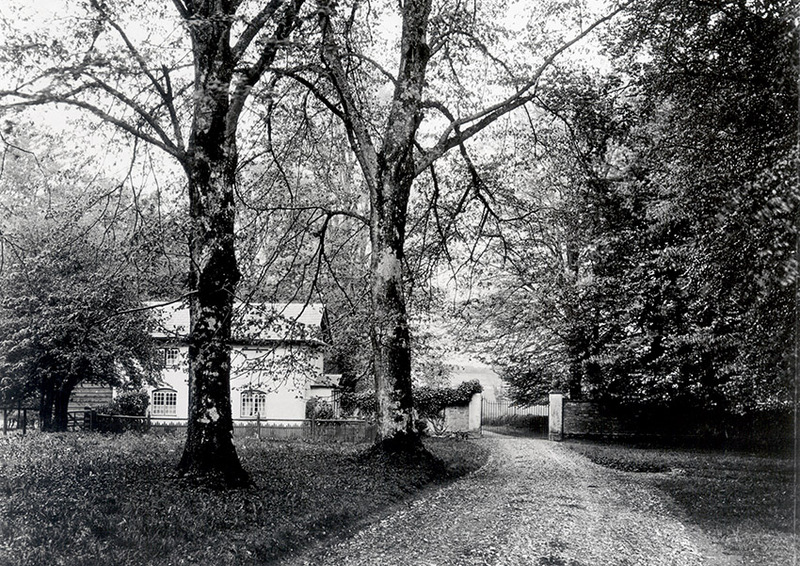 The instructions were that, when leaving the estate we were to stop before the gate so that it could open. Sadly though, were you to want to return by the way you left, as when you come back to the gate from the outside of the estate it would NOT open under any circumstance, thus becoming perhaps an unusual hybrid of a gate and a fence. Not precisely what I had hoped for. At one point Sid was famous or infamous for hanging gates that would not shut. 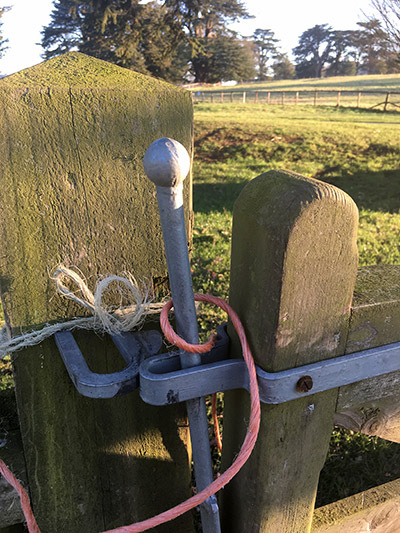 They were usually too low for the latch or the latch had been fixed in a rush which literally stopped the gate closing, or the gate jammed against the gate post. Therefore Sid’s gates had to be propped shut with bricks or tied loosely with baling twine. I know gates tend to drop over time but they were not given any time to achieve it. Some time ago, my husband asked David, our joiner, to make a gate for a cottage. He is very skilled and a perfectionist. 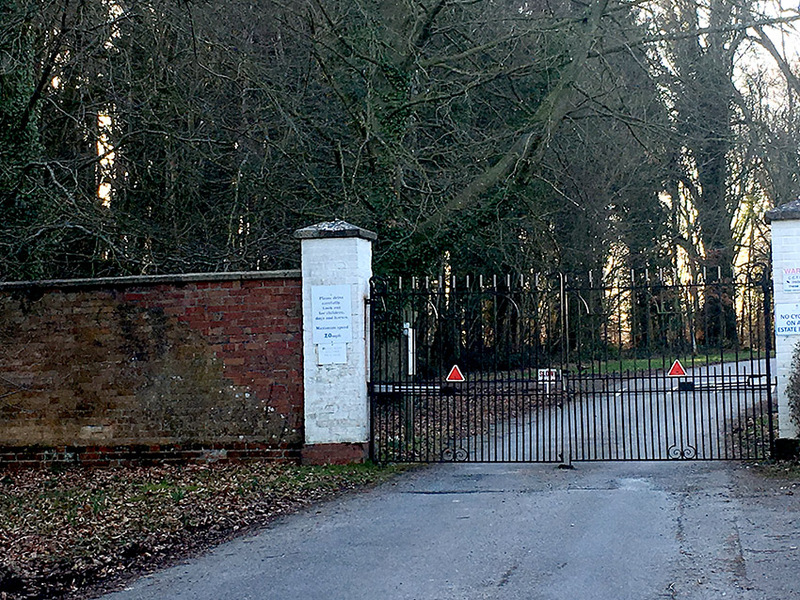 Some weeks later, there are some beautifully carved gate posts but the gate remains invisible – unusual even by Highclere’s standards, I am sure it will appear. Mark, who helps with gardens and fences, offered to put a gate in at another cottage and he asked me what kind of gate I wanted. Not knowing the back story of gate challenges, he was somewhat nonplussed when I briskly replied that I would be completely happy simply with one that opened and closed. I very much enjoy your stories and cooking suggestions. I love good word play and use. Your desire for a simple functioning gate made me giggle. BTW-just looked at the pix of you and someone and Georgie – You are so photogenic. I feel like an infatuated little preadolescent-stalking you. I’ve always wanted to travel and you, your home, Downton Abbey, pictures. Give me that thrill. That is sooo funny! You poor thing… Lady Carnarvon. Yes, indeed it sometimes comes down to the ‘simple’ things that make us most happy! Thank you for sharing. Highclere had just closed for the season when last we were near. I was deeply disappointed. We did go to Chatsworth House though and thereby were ‘soothed’. I read with interest your answer to this post. My husband & I will be in your area, visiting from Australia, in mid-September &, unfortunately, will miss the Highclere season. I wonder if it is possible for us to join a group tour sometime in the week Sunday September23 to Thursday September 27. We too will be traveling near you just after your normal summer closing around Sept. 7-8, 2018. How do we learn of additional tours and opening times? I grew up with many sisters and large noisy lunches .. good way to live! Love the story! Wonderful to see the traditions of Highclere perpetuated even in the gates! Your charm and grace along with the champagne make every situation welcoming. Why dont you have a gate code as we do here in America? Just punch in the numbers on the key pad located at the entrance to the gate and it rings your cell phone and when you get the call, press the number on the cell phone and the gate opens automatically. That assumes I would have my mobile near me which is not the case, unless I am travelling! I was thinking the same thing. The beauty of that is that it can work at long distances or ring to a designated phone not on your person. We have friends with an electric gate to their property, and they have similar amusing and frustrating stories! I am forwarding this blog entry on to her. She will be laughing and empathetic! On another matter: I made your Chocolate Pots for my birthday celebration with my husband last evening, and they were absolutely delicious! I love this recipe. Only, I believe I made a mistake in the milk/cream ratio. I wondered if you can give me some advice! Single Cream (or our closest equivalent “light cream”) is not available here. Online I found a possible replacement of using 1 c. skim milk to 9 tablespoons of heavy cream (about 35%). I do not think this worked well, and my sense is that I need a thicker liquid. Have any Americans suggested their replacement for single cream? I believe also, you said you use only the egg yolks. Is that correct? I will continue experimenting until I get it right! This is a lovely dessert. Thank you for sharing it! Jane Franks xo You may email me directly at my address left with the comment. Thank you. Regarding advice for Jane Franks or other “American” cooks, we encountered the same question finding just the correct cream equivalent while testing your “Chocolate Pot’s” recipe for our dinner as well. Your recipe calls for 2 cups of single cream and our half & half in the USA is only 12% milk fat vs your single cream is 20% which we discovered after Jill cooked her 1st round using half & half – the consistency wasn’t setting correctly. By the 3rd round Jill used 1cup of half & half and 1 cup of heavy cream(30% milk fat) and she was really pleased with the results! The night of our dinner her 4th attempt was perfect with this combination and she doubled the recipe – delicious! Here is Southern California we also have a gate that causes guests many problems as it has no intercom or bell to communicate with the house, thanks to the previous owner who was kind of a hermit. Several guests who weren’t expected (though not unwelcome) and didn’t have the house phone number had to climb the tall, pointy-topped fence to gain entry, and imagine OUR surprise when the doorbell rang and we hadn’t knowingly let anyone into our property! It all ends in laughs, every time, but we have to do something about the situation . . . 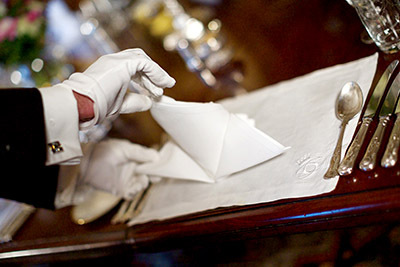 So very interesting to read about everyday life at Highclere– I enjoy your stories about what goes on with the everyday running of the estate. Visiting Highclere was one of the high points of my husband’s and my trip to the UK four years ago! We had tried to plan ahead and get tickets online before we left, as tours would be coinciding with the time we would be there, but were disappointed to find that they had been sold out. We sent an email to find out if we could be notified in the event of a cancellation and the wonderful staff advised us that tickets were often available at the gate. We were delighted that there was an opportunity to do so, and spent a most memorable day touring the house and grounds, as well as enjoying a lovely lunch and tea! Thank you so much, Lady Carnarvon, for making your home a place of welcome for tourists to appreciate – we cherish the memories of our visit! I’m still keeping up with the rest of the world with finishing my digital sets of dvd’s of Downton Abbey. I’m several years late. But…at least I have something to look forward to when I get home! As to your point on gates, I always wondered about how in the filming I never saw anyone approach any entrance with a gate to get to the main front door. I hope that’s due to how they planned the film shots. In fact, I do not see any gates anywhere. There has been a footage on following the cars in but I never saw a gate to get there. I’m into season 3 where our American legend Shirley MacLaine appears! And with Maggie Smith another screen legend!! I hope the rumors I hear are true and there is going to be a Downton Abbey movie. There needs to be. I don’t think 6 running seasons are long enough. That’s short if you base it on our tv standards out here in the US. We have had many tv shows run for as much as 8 or 9! There are some gates just before the gravel drive and you can just see them in shot – the outer (electric) gates are about 1 mile or so before that!! My husband and I will be visiting Highclere on May 23rd. We are so looking forward to seeing your lovely home. I am looking forward to that week..you will enjoy the guest script writer! She has achieved a fascinating legacy so far! I am so glad that it is Monday because today I get to read a new blog post! I so look forward to it because you always manage to come up with a totally “genius” idea for a blog post, every time. I mean that in all sincerity because one would be hard pressed to find enough amusing stories to tell about gates and guests being locked out, much less, present it in such a way to command attention from so wide an audience. Having said that, I can’t wait to read the stories of the entrants to “Come and Dine” which I hope those of us in the reading audience will get to experience as “up close and personal” as possible– I say that after having read in today’s post about entrants not sparing any details of their experience. Thank you for this very special blog. I really enjoy this blog and the readers responses. The stories are so interesting. Would really, really love to visit Highclere. Your stories are always entertaining and a joy to read…..thank you Lady Carnarvon ( I have problems pronouncing that name ) …..that Downton Abbey score keeps popping up in my head…are there still servants quarters in the castle ?? There are bedrooms and funnily enough I thought they would be interesting to sort out for small tours. The downstairs dining room is not part of our Egyptian Exhibition. There is still a flat etc at the back and the team today prefer the privacy of cottages! Thank you so much for allowing us to peer through the keyhole at the goings on at Highclere Castle. I have enjoyed your read your stories and it is possible that you make a cookbook? Thank you Anne. There are a number of recipes in my book ‘At Home at Highclere – Entertaining at the Real Downton Abbey’. These range from easy family suppers to more elegant dishes for special occasions. You can find it in most bookstores and of course on Amazon. “At Home at Highclere” is a cook book – there are many recipes in it. There are also stories and many photographs. I know exactly what it feels like to get locked in. When I came for my interview many moons ago I came to leave at 6:30pm and I found the front gate locked. Sheer panic set in, the thought of climbing the gates was not a option, mind you my with little car I’m sure there is a way through for me somewhere! Yes – your car does make us all laugh! Very cute. Gates are always a problem. In our Wiltshire home I requested that a gate be put across the wide uphill driveway to keep children and dogs in the gardens. My Father, a Man of Kent (that IS significant) came to see us and asked why there was a 15 inch gap under the gate. In all innocence I said that because the gate had to clear a steep pitch on the drive that was the only way it could hang, even though the children and dogs could get under it quite easily. My Father pointed out that the gate should be hung so that it opened downhill, thus clearing the ground easily. As I said, we lived in Wiltshire and he came from Kent. Hilarious gate!!! Yes – my grandfather was also Man of Kent not a Kentish man, not quite sure about what it means either! I am glad your father was a Man of Kent ! They always say they are far superior to Kentish Men ! The Medway is the dividing line between the two. The accents are very different and indeed ,I suspect the ethnic origins were different too. Interestingly there is still a small ethnic group of Anglo Saxons deep in the Weald. My paternal grandmother came from there and had a Saxon surname. I hesitate to say “Anglo Saxon” as I was banished from Face Book recently for using the words… their computers didn’t pick up on the fact that I was talking about the language, not the epithet used in American politics! “Middle English” might be acceptable but it isn’t quite the same. I love your dog pictures ! Thanks ! Another delightful blog, Lady Carnarvon, and I am enjoying the adventures of those on both sides of the gates! It looks as though the cottage gates will be nicely unique and wood carved, well worth the wait. Tomorrow is the last day for submissions for “Come and Dine” and I, too, am hoping to see the many details of the dining events that happened during February around the world. It was great fun to have a gathering of friends with some of the recipes from Highclere, we’re planning soon to host another…you may have started a tradition! That is wonderful – Karine from Viking Cruises is flying in on Friday for a first admiring review!!! I cannot wait.. I loved this post it made me laugh! nothing is ever perfect as much as we would like to! Your Youtube video clips suddenly appeared on my ‘feed’ (or whatever they call it these days) and having enjoyed some of the clips, I followed the trail to your Official Website. I very much enjoy your writing style and content (a talent you share with your charming brother-in-law Harry, whom I have met once over lunch). I must say you also come across as a very ‘sympathique’ person. Clearly a family trait! All the Best of health, peace and happiness to your family. It is always such a treat to get your blog notice in my email. I was late to watching Downton Abbey but have thoroughly enjoyed the series. They could have gone on for many more years! I am now watching Call the Midwife which is a wonderful series too. Visiting Highclere is high on my places to see in my lifetime. Your gates and your staff sure have had a rash of trouble with those gates! We had a Victorian-style gate made for our sideyard when we put in a pool at our last home in California. It turned out beautifully and provided a lovely view of rose standards and a climbing New Dawn rose beyond, but it too was a little wonky to close. Part of their charm, I guess. I do love the beginnings of the wooden gate in between your hedges. I was trying to find the right page to send you, and all of your guest, a VERY LOVILY time at your Dinner Gala to night. We, all have been waiting to hear about it, and maybe see of your pictures of your table. As always, your blogs are a colorful depiction of your life and home. ‘Gates’ , an interesting writing, and one to ponder. Do we put them there to keep ‘OUT’ or to Hold ‘IN’ ? Sometimes I have often wondered. scaling a gate, and running in an evening gown. Thank you again for sharing your beautiful gift of writing with all of us. That is such a cute and funny story! The unexpected happens when not expected. I guess that is just life.